WASHINGTON—After presiding over an industry of organ transplantation that researchers said has led to a vast death toll of prisoners of conscience, China’s Communist Party has now promised reform. No one has been punished, and no admission of wrongdoing has been made—in fact, the perpetrators are now in charge of the reform process. Question: Do you believe them? The problem goes to the heart of the disconnect between researchers of forced organ harvesting in China and the international transplantation establishment. A congressional hearing on June 23 saw the gap narrow regarding what has happened in China, but remain on the prospects for reform, as hard data clashes against implacable optimism. Sitting at the same hearing table were Dr. Francis L. Delmonico, former president of The Transplantation Society (TTS), and David Matas and Ethan Gutmann, co-authors (with David Kilgour) of a new, carefully researched report that the authors said documents the systematic genocide of imprisoned prisoners of conscience. Dr. Charles Lee, a spokesman for a human rights research NGO, also spoke. Delmonico struck a sober tone about abuses in China. He conceded that neither he nor TTS could verify that transplant abuse in China had ceased. He noted several times that he had no insight whatsoever into the prolific and secretive military hospitals—even from a Potemkin Village tour—where most of the forced organ harvesting takes place. He never demurred about the evidence of mass organ harvesting (called “Nazi-like” by Smith) presented by those flanking him. This was a significant shift in stance for the international transplant establishment. In the past, its reticence about the findings of investigators like Gutmann and Matas has been one of the problems raised by legislative bodies in the West, as they deliberated their own stances. But when asked about the prospects for reform, Delmonico was improbably optimistic, testifying that there had recently been a struggle for control over China’s organ transplantation industry, and that the good guys had won. He argued that under the stewardship of surgeons Huang Jiefu, a high-ranking Communist Party official, and his protégé, Wang Haibo, a coterie of young transplant surgeons were ambitious to build careers based on ethical practice. Having looked into their eyes, he had determined that this is the forward-looking crowd that will be leading the future of transplant reform in the country. He pointed to an independent transplantation foundation funded not by the state, but “a hotel magnate.” He appeared to be under the impression that Huang Jiefu, long China’s spokesman on organ transplants, was no longer an employee of the state. And he stated that there has been an intense battle for control, resulting in the monthslong house arrest of Huang Jiefu’s protégé, Wang Haibo. The ethical surgeons have won, Delmonico said. All this, at least, is what Delmonico appears to have been told by his Chinese colleagues and interlocutors. It turns out, however, that much of it is not quite the case. The error begins with the character of the foundation. The China Organ Transplant Development Foundation referred to is not independent: its primary funder (to the tune of 80 million yuan, or $12 million) is Li Ka-shing, the Hong Kong tycoon with extensive ties to the Communist Party elite, and is headed by a high-ranking Party official—Huang Jiefu. In an email, Delmonico identified a man named James Fox as a benefactor of the foundation. China media reports make clear, in any case, that the foundation is mainly bankrolled by Li Ka-shing. The Li Ka-shing connection was revelatory to Gutmann. 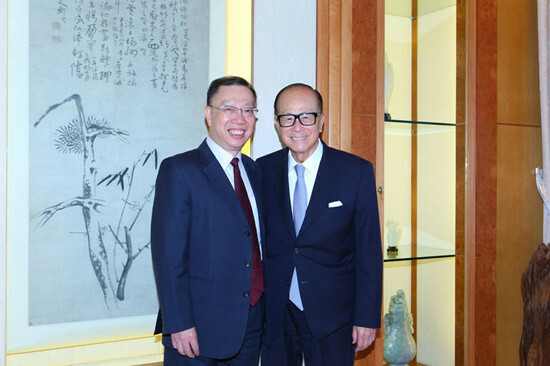 “Seeing the photos of Huang Jiefu and Li Ka-shing is like seeing two of your oldest enemies together holding cocktails,” Gutmann said in a telephone interview. “Li Ka-shing is the Armand Hammer of the Chinese Communist Party,” he added, referring to an American industrialist who had extensive ties to the Soviet Union. The director-general of the foundation, a role that almost certainly includes determining how its money is spent, is Huang Jiefu. According to Delmonico, this foundation funds the travel and lodging for visiting Western transplant surgeons like himself, who are given tours—Gutmann dismissed them as “junkets”—of China’s hospitals, designed to show the progress of transplant reform in China. According to experts who have studied the Communist Party’s practices of managing foreigners, such tours are likely to be prearranged, tightly scripted affairs, down to the very last detail. There is an entire Party apparatus dedicated to such work, which includes training cadres in “communicating with sympathetic foreigners in a way that [is] extremely appealing to them,” writes the scholar Anne-Marie Brady. During the hearing, whether Huang Jiefu was in fact a serving official was left vague. “Jiefu Huang has been part of the government, obviously,” Delmonico said, at one point. The emphasis appeared to be in the past tense, given that Delmonico then highlighted Huang’s current role, in what was identified as the independent foundation. Later, Smith appeared to be under the impression that Huang was only a former official, and appealed to Delmonico for clarification. “He’s the head of a foundation that has received funding from a benefactor, independent of China, to now make the support for this change,” Delmonico responded. But Huang Jiefu is very much a current official—a high-ranking Chinese Communist Party cadre, no less, with half a dozen titles. For instance, he is the deputy director of the sensitive Communist Party committee that looks after the health of the top leadership (and a member of the committee’s Party Group); he is a former alternate member of the Central Committee; he is a delegate to the Chinese People’s Political Consultative Conference, a Party-controlled entity meant to provide the impression of political pluralism; he’s the deputy director of a committee that is part of the conference; he is also the director of liver surgery at Peking Union Medical College; in an interview with China Central Television, he said that his involvement in public relations on the transplant issue was a special secondment from the very top of the Party leadership; and finally, most importantly, he is the co-director of the newly established committee that actually creates policy in the organ transplant sector. This committee, and the agency that executes its policies, are appendages of the National Health and Family Planning Commission, a cabinet-level agency. 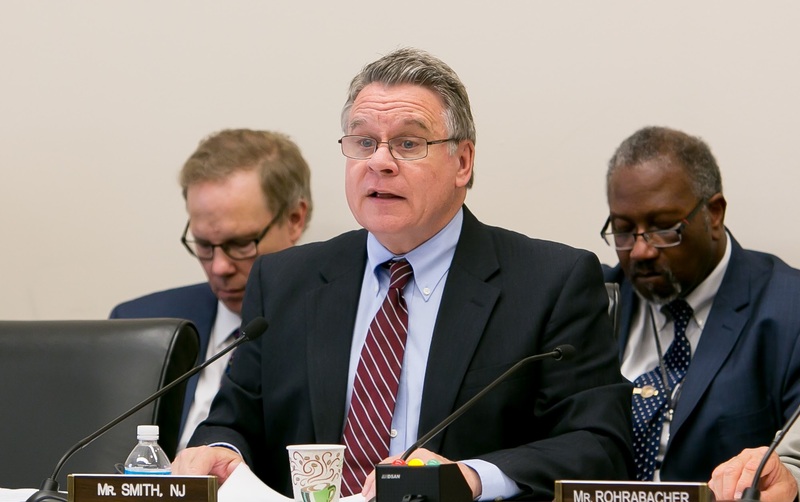 Smith and Rohrabacher were not apprised of the political background of the foundation, nor its lack of independence, and they were not told about either of the official entities who actually run the system in China, nor the composition of doctors involved. The policymaking body is titled the China Organ Donation and Transplantation Committee; it was established by the National Health and Family Planning Commission on April 14. The China Organ Donation Administrative Center, under the Red Cross Society of China, is supposed to manage the donation system. The Red Cross itself has been the subject of several public scandals in recent years. 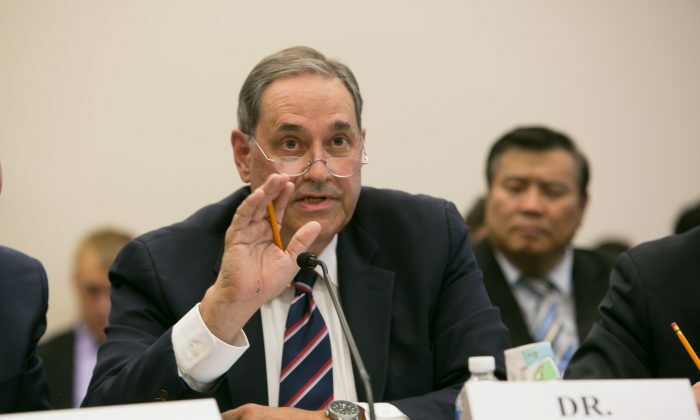 Many of the members of the committee—in fact, every surgeon on it except Wang Haibo—are veterans who performed sometimes thousands of organ transplants in the heyday of China’s rampant organ harvesting system. Some are high-ranking military transplant surgeons. Others may have even engaged in the practice of live organ harvesting, where organ removal is the mechanism of death. Most organ transplants over the years have been from prisoners of conscience, primarily practitioners of Falun Gong, according to the hefty report by Gutmann, Matas, and Kilgour. It is almost certain that many of the doctors on the new committee were directly involved in this activity. In at least one case, the connection is flagrant. Zheng Shusen is a prolific senior liver surgeon at the First Affiliated Hospital of Zhejiang University. He also doubles as the head of Zhejiang Province’s anti-cult association, a communist agitprop instrument established specifically to vilify Falun Gong. Zheng appears regularly on state and Party websites sitting alongside leaders from the 610 Office, a secret Party task force established in 1999 to eliminate Falun Gong. Anti-cult associations around the country often work with 610 agents to craft anti-Falun Gong propaganda, casting the practice as a threat to society, thus justifying the regime’s brutal measures against practitioners. Zheng is also the co-author of a study of 46 cases of “emergency liver transplants” that took place at his institution. It is these transplants—where a match is made between a recipient in need of an organ and a donor who is killed, within just days, sometimes hours—that are among the key points of evidence that China has a pre-typed pool of donors, ready to be killed on demand, experts said. But the inclusion of liver surgeon Shen Zhongyang on the new committee is perhaps the most eye-catching. He is the mastermind behind Tianjin First Central Hospital, one of the largest transplant facilities in China and certainly the most aggressive in marketing its wares to an international audience. A study of the activities of Tianjin First by Epoch Times in February of this year, based solely on a meticulous examination of its own hospital records and other official documents, found that it had performed at least five times more transplants than it said it had, leading to tens of thousands of organs that cannot be accounted for by any Chinese official explanation. It was also this very hospital that led the international transplant community, including Delmonico himself, to offer a public rebuke to the Chinese, as they penned a letter to the top Party leadership castigating China’s transplant system for corruption in 2014. Tianjin First Central’s website went offline soon afterward—though Delmonico told Congress that he had heard of a recent anecdote of a woman from Vancouver going there for an organ. He said that the purpose of his visits was for developing a transparent organ distribution infrastructure consistent with World Health Organization principles, and that he has not been engaged in “an exercise for the Communist Party or the government of China,” but instead “a collaboration with a current generation of transplant professionals” who are bringing change. Students of the Byzantine world of Chinese politics recognize there has indeed been a battle for control over organ transplantation. But Communist Party struggles are a blood sport, and even for experts who devote their careers to the analysis of elite power dynamics, it is notoriously difficult to accurately gauge the meaning of such events. The house arrest of Wang Haibo, if it indeed took place, could have multiple meanings. It may have even been, for instance, an investigation team dispatched by the current leader, Xi Jinping, to get information from Wang about the extent of organ harvesting from prisoners of conscience. And yet it is the supposed enemies of Huang Jiefu and Wang Haibo—those most deeply involved in what experts have described as the mass organ harvesting of Falun Gong—who they now stand shoulder-to-shoulder with on the committee that sets transplant policy in China.